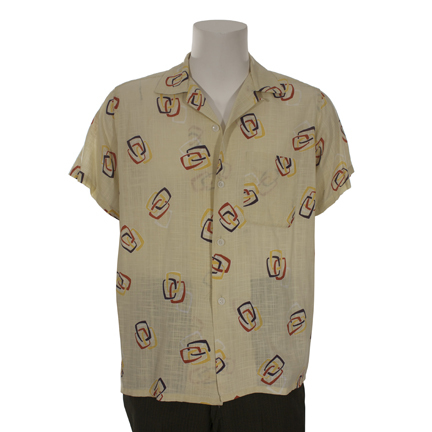 This light yellow short sleeve patterned shirt and pair of green pants were worn by the character “Cosmo Kramer” portrayed by actor Michael Richards in the award winning HBO series “Curb Your Enthusiasm”. 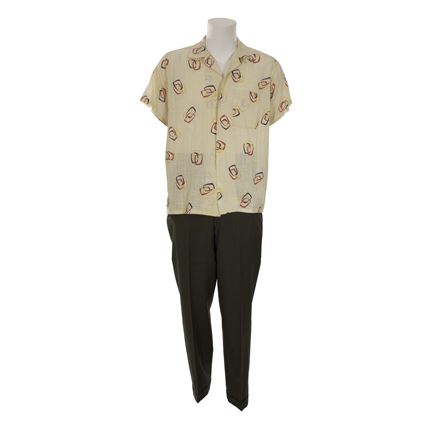 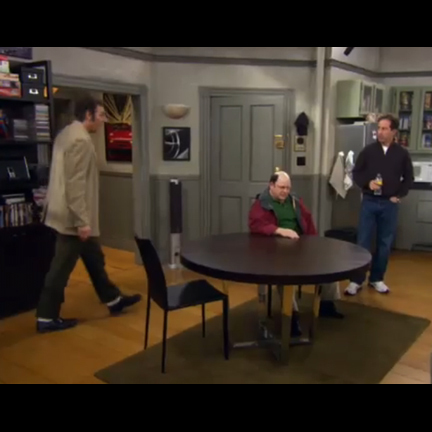 Mr. Richards appeared wearing these garments at separate times in several scenes from the seventh season of the show during three episodes dealing with Larry David’s fictitious “Seinfeld” Reunion (“Seinfeld”, “The Table Read”, and “The Reunion”). 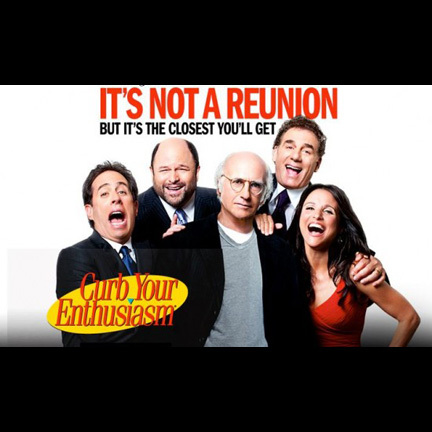 Despite the continuing popularity of “Seinfeld”, “Curb Your Enthusiasm” creator (and ex-Seinfeld writer) Larry David had previously gone on record saying there would probably never be a Seinfeld reunion, and while technically there still hasn’t been, these three episodes dealt with the supposed making of a Seinfeld reunion show within C.Y.E.’s “show within a show” format. 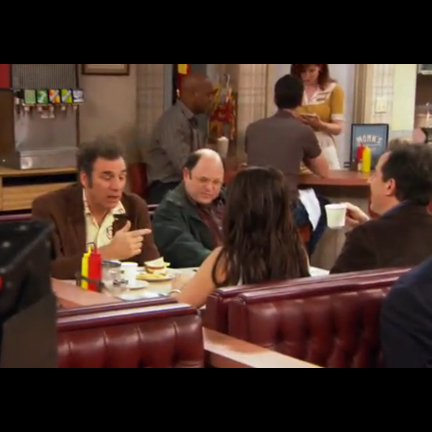 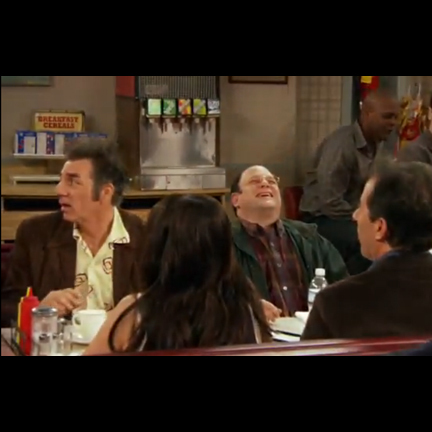 These landmark episodes marked the first time the original Seinfeld cast members and crew were all reunited to work together since the television series ended in 1998, and the original Seinfeld sets were all reassembled and reconstructed from Warner Brothers Archives for use on the production. 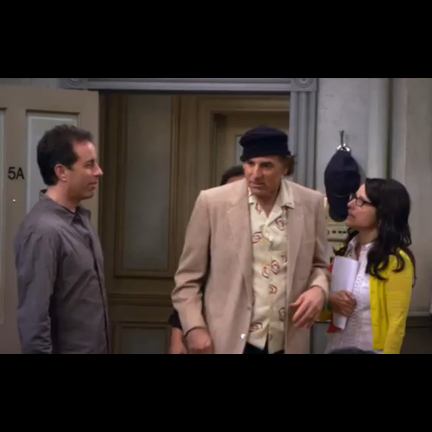 Both of these garments perfectly capture Kramer’s signature retro look from “Seinfeld”. 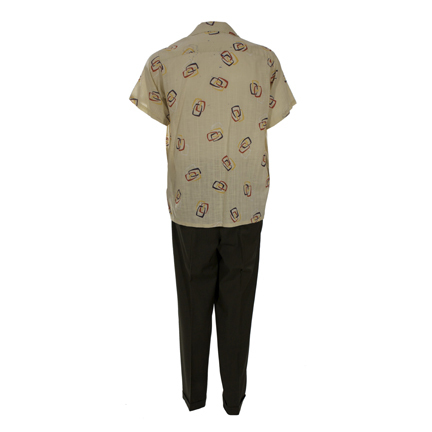 The character’s shirts were traditionally larger than needed to provide Kramer with a “loose, laid back” appearance, while the cuffs of his pants were always high above the ankles to give him the appearance of wearing older clothes and never updating his wardrobe. 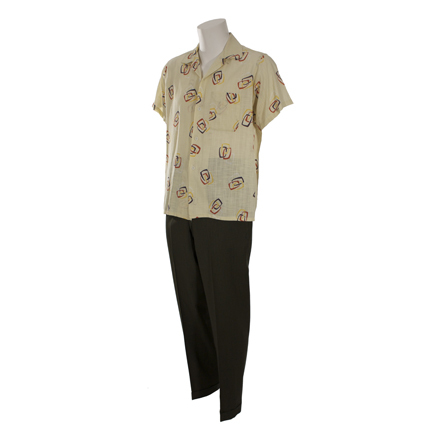 The garments are in very good screen worn condition and are accompanied by a letter of authenticity from the costume house.